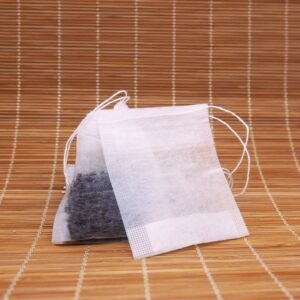 We believe a great tasting; healthy chai should be natural. There is no need for additives or sugar or anything else. 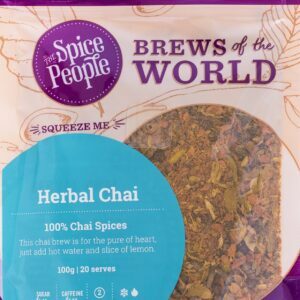 Our spices are freshly cracked and use ayurvedic wisdom to create a brew overflowing with flavour. 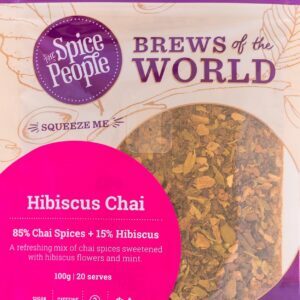 The mixture of chai herbs and spices gives a great aromatic taste and warm flavour. It tastes great with any milk, and if you prefer it sweeter, simply add a little honey. 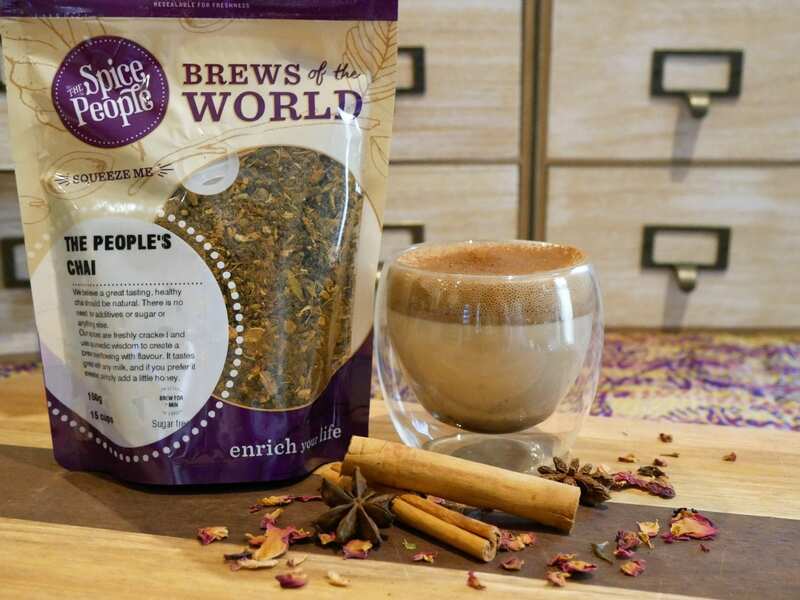 The People’s Chai partners with kiva.org to help farmers in developing countries. 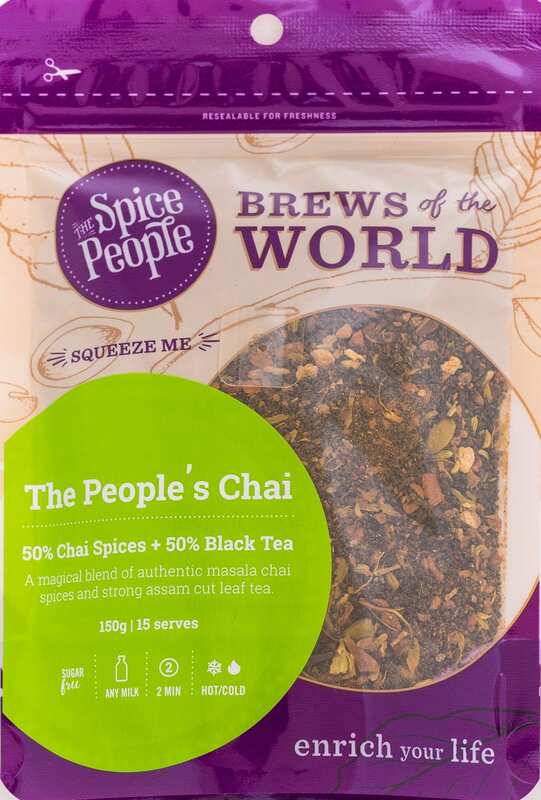 The pack includes – 1x 150g packs of The People’s Chai. Makes 15 cups in total. 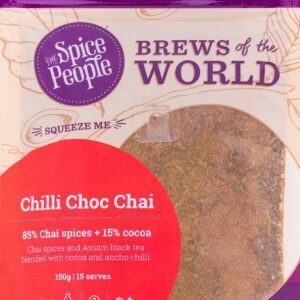 Add 1 tablespoon of the people’s chai spices to the heated milk, brew for 2-4 minutes depending on how strong you like it. Strain and serve with a dash of honey if desired and sprinkle with our chai sprinkles for the perfect finish. Assam black tea , cinnamon, cardamom, star anise, fennel, pepper, nutmeg, cloves. I love The People’s Chai! Thank you for making this aromatic spicy blend. A real treat when I don’t have time to brew my own chai from scratch.